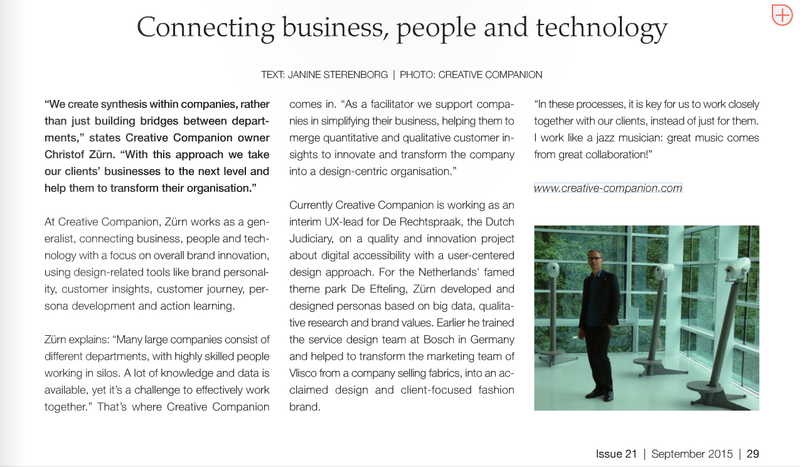 A few weeks ago I had the opportunity to give an interview about my company CREATIVE COMPANION. You can find the results of this talk in the September Issue of Discover Benelux in the section ‘Best of Dutch Design’. When designing a brand it is necessary to have a shared understanding about the why, what and how of a brand. This can be written down and visualized in a manifesto together with the brand DNA, vision, mission, ambition and the brand values, personality, promis and expressions. But this is just like the musical score. To really ‘live the brand’ it has to be performed and adapted everyday together with your audience. 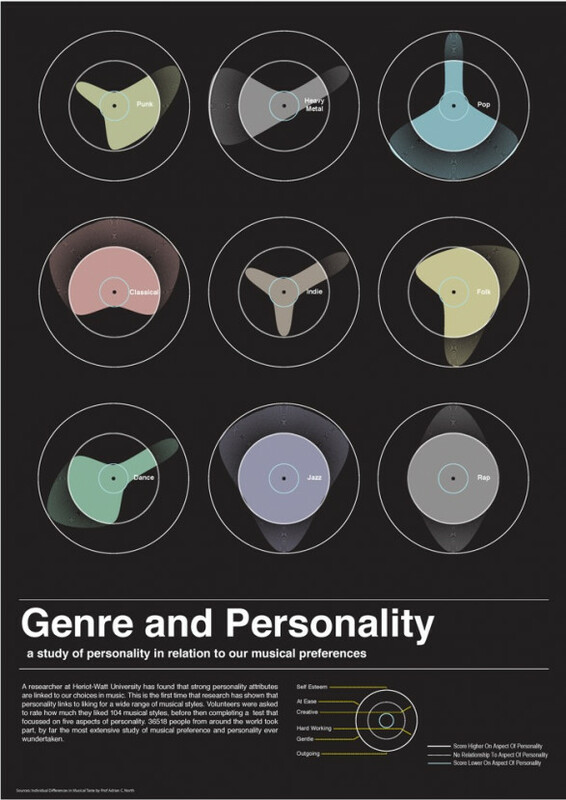 Here are two musical concepts that could inspire and engage brand professionals to think about the brand consumer relation to add value to both sides: first to the consumer, then it will pay back to the brand. Marc Shillum is approaching the filed of branding from a pattern thinking perspective: Brand as Patterns. He states the most important feature of a successful brand is not just consistency, but rather the ability to continually reinvent the brand image according to what is most relevant at the time. In short, a successful brand must have a long term goal, but the short term strategy of how to get there must be continually reworked to remain coherent and relevant in a contemporary context. Besides patterns there are more concepts that can bring context and meaning. In the Wagner Year it is worth to have a look on the contextual building blocks Wagner is using in his compositions: ‘das Leitmotiv’. Leitmotives are musical phrases like story elements that does not imitate the sound of – for example – ‘crackling logs’, but make you feel the heat, thread and magic of fire. If you want to enjoy the music you don’t have to necessarily know everything about it, but ‘the more you know, the more beautiful it gets’. Watch a great ‘musical introduction’ to Wagner’s Götterdämmerung with Kurt Masur and Jessy Norman and learn everything about the coding and decoding with Leitmotivs in film music like star wars and Wagner’s music. From a branding point of view many different elements should make a ‘Gesamtkunstwerk’ so that the consumer can enjoy, be engaged and get an emotional bond with the brand without knowing exactly every detail. But to create a brand it takes a lot of listening skills and contextual vision. Maybe the most importing thing: the music is not ready when the score is written. It has to be performed with real people for real people – again and again.